The New York Scented Candle, with a strong and vivacious scent, an apple bite, a strong wind, the signature of a city, a homage to New Yorkers and their insatiable appetite for life. 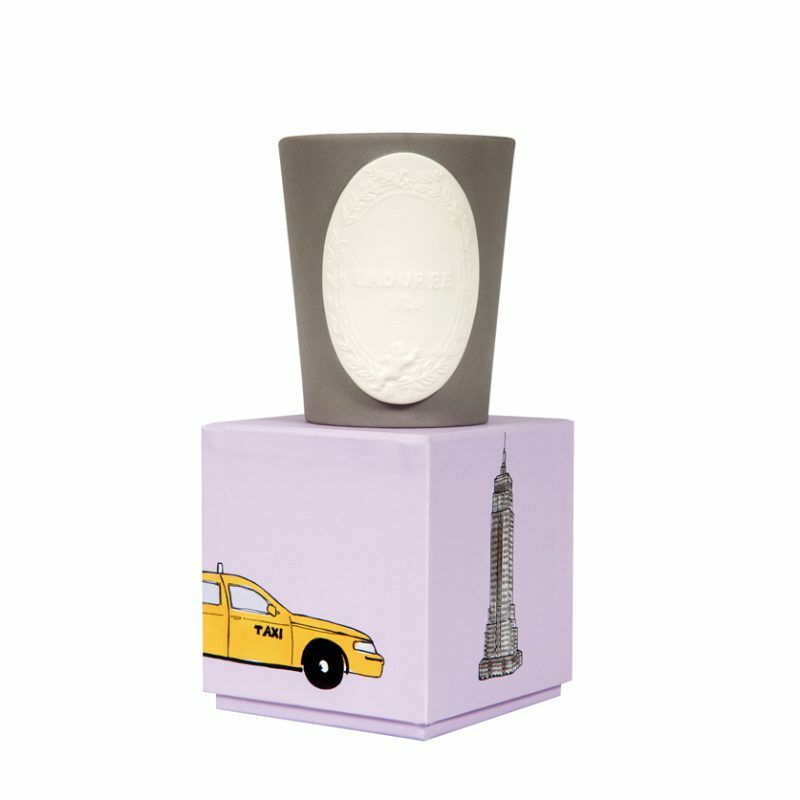 In celebration of 150 years of Laduree history and 10 years of their fabulous scented candles, Laduree have created ‘Les Capitales’ a collection of four utterly chic and beautiful limited edition scented candles which draw inspiration from Laduree’s flagship locations – namely: Paris, Tokyo, London and New York. Laduree scented candles burn for 55h. They are made of mineral wax and have a 100% cotton wick.